This is a phishing bonanza and I’m willing to bet a hundred bucks that the cyber mafia is already working on campaigns to exploit this breach. “It’s all over the news. A 150 million database with user names and passwords of Under Armour’s super popular MyFitnessPal app has been hacked. Cyber criminals are going to use this to scare you into clicking on phishing emails and infect your computer with malware or manipulate you into giving out personal information. 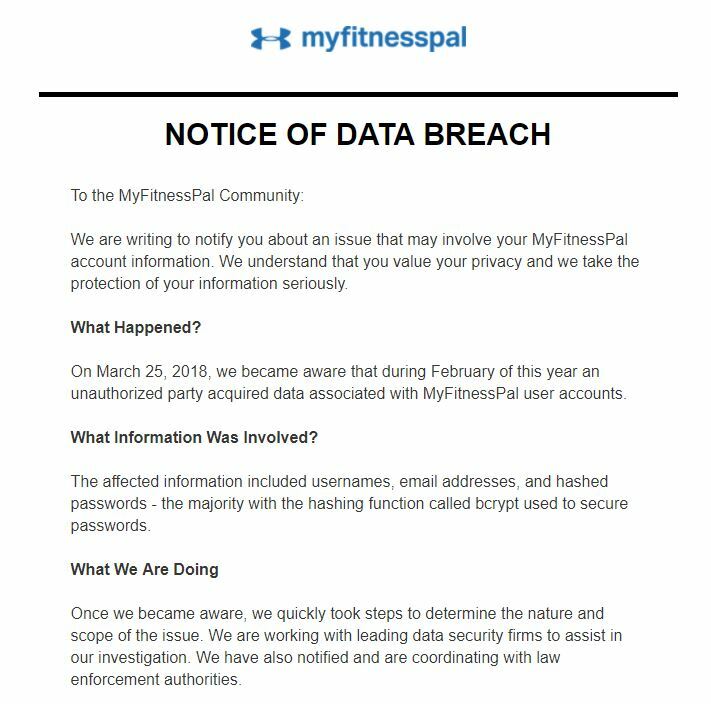 “If you receive an email that claims your personal MyFitnessPal information has been hacked, and that you need to click on links to change your password or open attachments to find out how to protect yourself, be very careful. Do not click on links, do not open attachments, and if there is a reference to a website with more information, type the web address in your browser. For KnowBe4 customers, inoculate your employees before they get hit with this Scam Of The Week, at the house or in the office. Send them our new template from the Current Events campaign: “MyFitnessPal”.